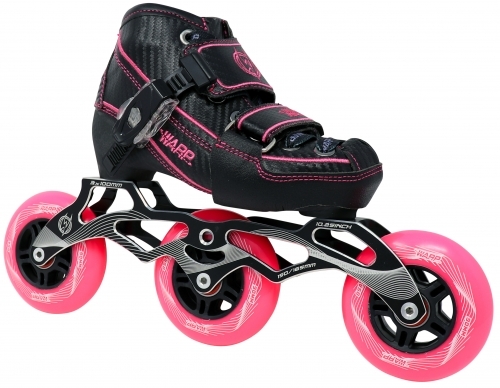 Warp Adjustable Inline Speed Skate! 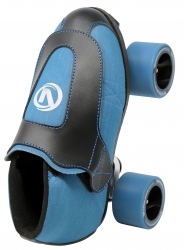 Since 1958, RC Sports has been the world's largest roller sport distributor and wholesaler! 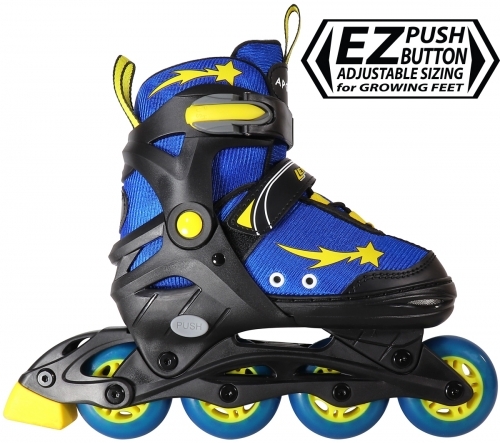 Specializing in the wholesale distribution of pro scooters, roller skates, inline skates, and all types of skate related accessories. RC Sports is strategically located in the middle of the United States, just outside of Kansas City. Because of the geographic location, average transit/shipping times are less than 3 days with UPS, FedEx, and USPS! With a large 50,000 sq. ft. warehouse, most items are in stock and ready to ship. If your retail customer has a special request, RC Sports has the resources to fulfill it. Because of the large variety of on-hand products, RC Sports can and will, customize any package component. This includes substitution of wheels, plates, and boots. Not only does RC Sports offer retail support to roller rinks around the world, they also provide consulting for new rinks. If you would like to know more information regarding a new account, please contact us.